Kaye Nesting Benches are solid, stable benches nest for compact storage. 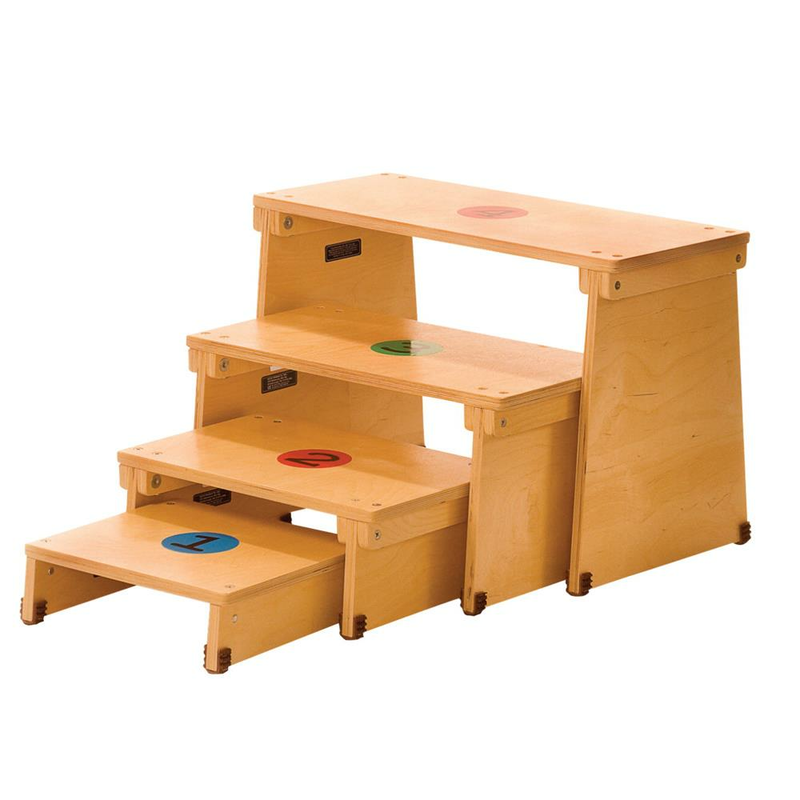 They have fixed heights and smooth surfaces facilitate movement in sitting, crawling, or stair climbing. They come in a set of 4, two large and two small. Size 1: 14" x 11-3/4" x 4"
Size 2: 18-1/2" x 11 3/4" x 6-3/4"
Size 3: 23" x 11-3/4" x 11-1/2"
Size 4: 27-1/2" x 11-3/4" x 18"